Step one, trimming the tri-tip. Since we’re doing this with an untrimmed sirloin tip roast, there is going to be a thick layer of fat on the backside. Trim this fat down to ⅛ – ¼ of an inch. Also remove any pieces of loose meat or skin. Step two, slather the tri-tip with either butter or yellow mustard. Make sure to get the mustard into any crevices. Apply your favorite BBQ rub liberally, and repeat for the other side. Finally, place the tri-tip on a smoker preheated to 250°F. Insert a thermometer probe in the thickest part of the meat. Target temperature is anywhere between 130°-140°F for a medium rare. 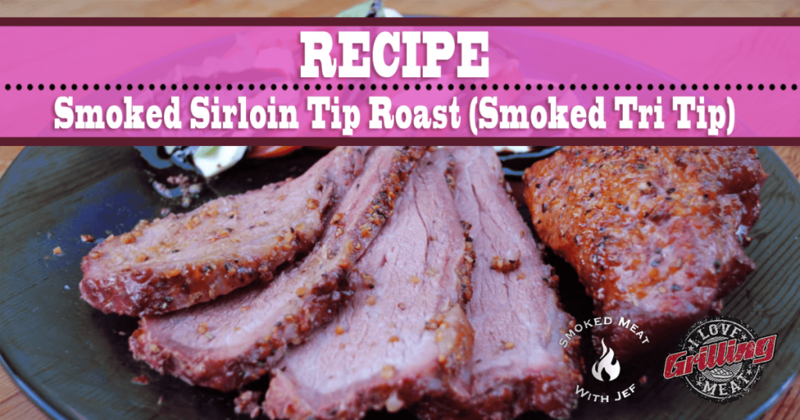 When done, slice the tri-tip and serve. Beef Brisket – Sous-Vide or Smoked: Who Wins?